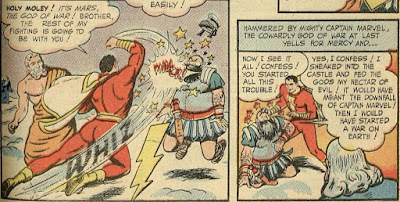 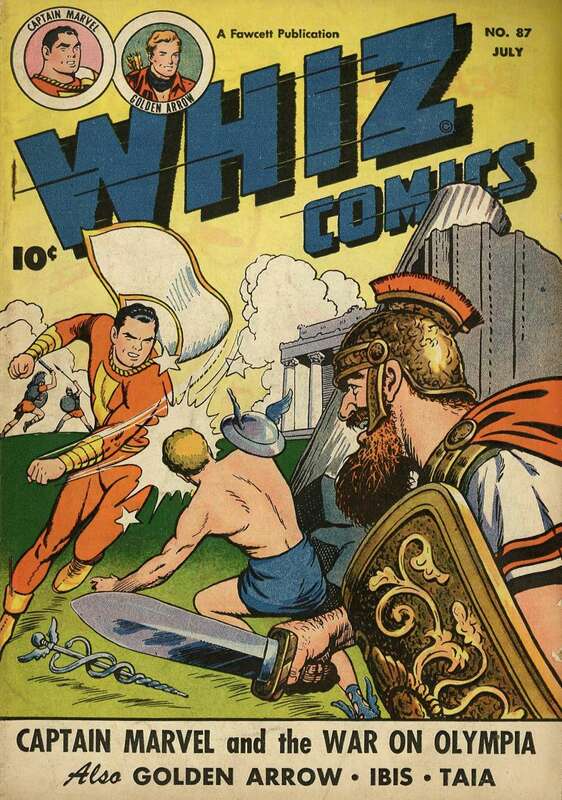 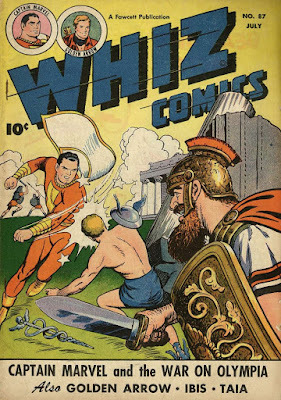 Did you know that in Whiz Comics #87 (published May 9, 1947) both the wizard Shazam and Captain Marvel had to end a quarrel among the gods? 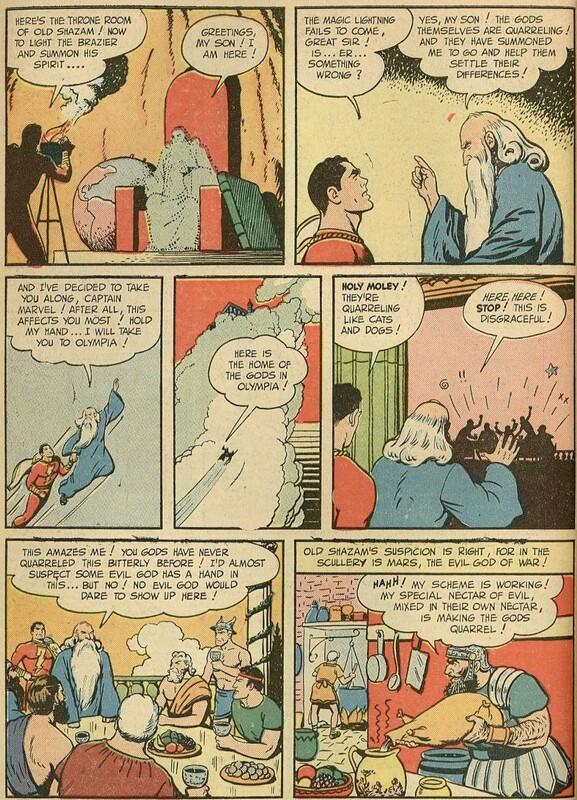 It turns out that Mars, the god of war, had sneaked into Mount Olympia and was giving some of the gods (Zeus and Mercury) his nectar of evil! 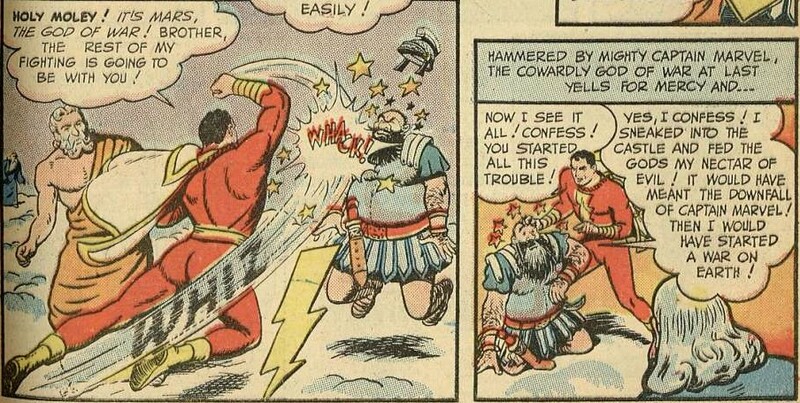 This caused them to quarrel and fight among themselves. 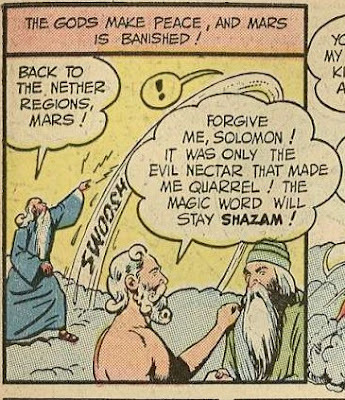 Mars' malicious plot is uncovered and Shazam banishes him to the nether realms!